"Tinware" is a category of railroadiana that includes a broad range of containers and other metal objects that were used in railroad operations and maintenance. 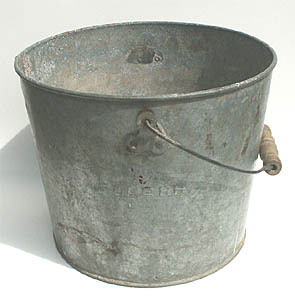 Examples include buckets, oilers, water cans, funnels, cups, and primitive lighting devices known as torches. 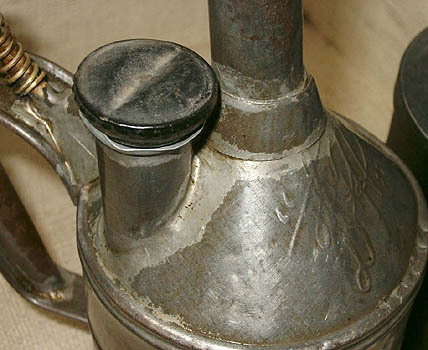 While some tinware may have actually been made of tin, much of it was made of sheet steel that was painted or galvanized. 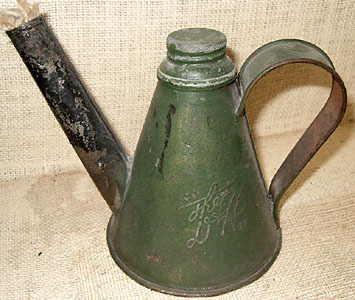 A number of manufacturers made tinware for the railroad trade. Probably the most well known was the Johnson Manufacturing Company of Urbana, Ohio. In today's railroadiana market, tinware tends to be the rather low on the totem pole of prestige and price, at least compared to other categories like lanterns, china, and brass locks. 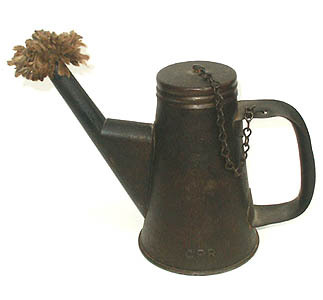 Partly this reflects the fact that tinware pieces are generally plain and utilitarian in appearance. 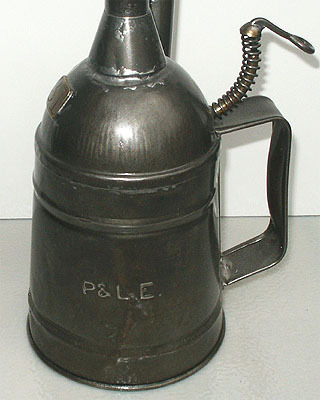 They were generally used by employees in the gritty, grimy, day-to-day tasks that were necessary to run a railroad, and most surviving tinware reflects years of hard use. 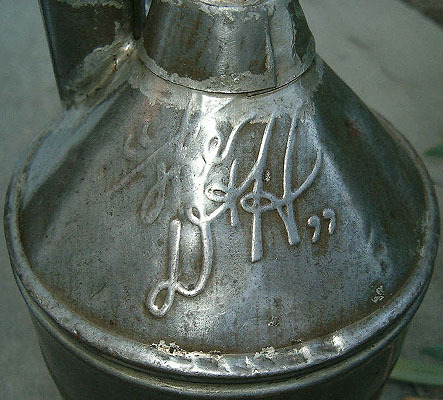 However, some particularly interesting tinware items can be found, and many are marked for specific railroads, either with initials or logos. As railroadiana prices continue to escalate, some tinware pieces are going for higher prices than ever. Following is an extract of 20 or so pages of the Master Mechanics Assoc. 1916 standards and specifications for tinware in PDF Format, courtesy of RJMc and Google Books which scanned the original document. 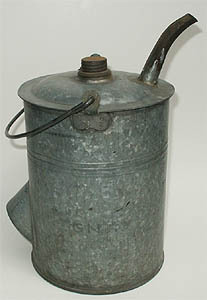 Shown below a some common and rare tinware items. Click on the images for larger versions. Above left to right. 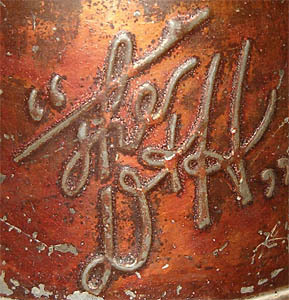 Three views of a fuel can from the Delaware & Hudson Railroad with a rare "script logo"; a torch from the Delaware & Hudson Railroad also with a rare "script logo". Such fancy logos on tinware are very rare. Photos by Tom Stranko. Above left to right. 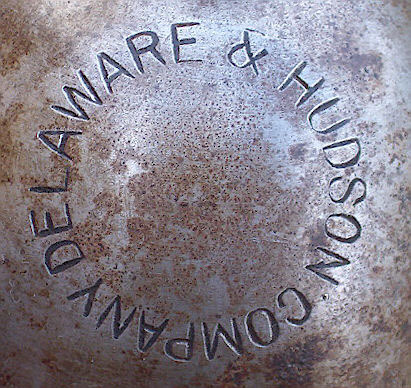 A closeup view of the logo from the Delaware & Hudson Railroad torch shown above far right; three views of an oiler from the Delaware & Hudson Railroad also with a rare "script logo". Photos by Tom Stranko. Above left to right. 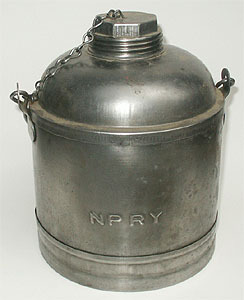 A fuel can from the Great Northern Railway; a bucket from the Pittsburgh & Lake Erie Railroad; a can from the Northern Pacific Railway; a torch from the Canadian Pacific Railway. 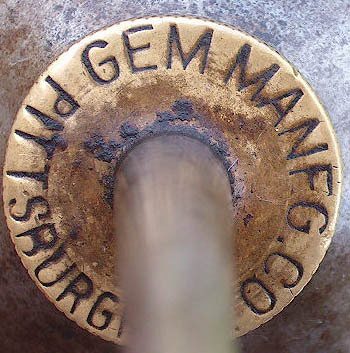 All are marked for their respective railroads, but the markings are simple initials. Photos by Paul Koren. Above left to right. 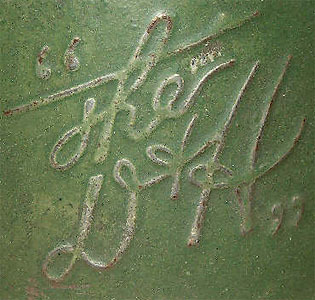 An oiler from the Pittsburgh & Lake Erie Railroad; a closeup of the base of the same oiler; a brass tag "31" that is soldered on the oiler; a torch from Pittsburgh & Lake Erie Railroad. 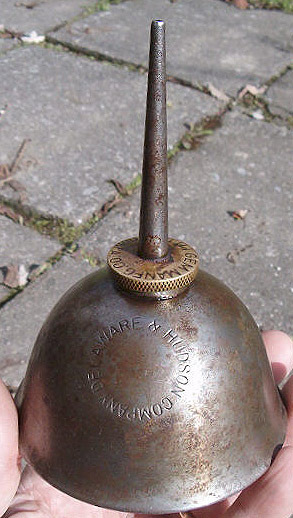 The oiler was manufactured by Handlan as stamped on the bottom; the brass tag is unusual. Photos by Paul Koren. Left. 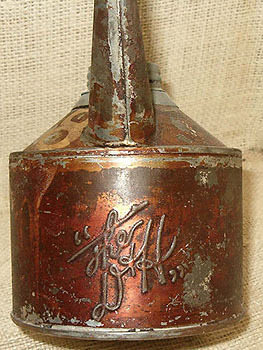 An oil can from the Delaware & Hudson Railroad, including closeups of the railroad marking and the manufacturer's marking. Photos by Tom Stranko. Left. 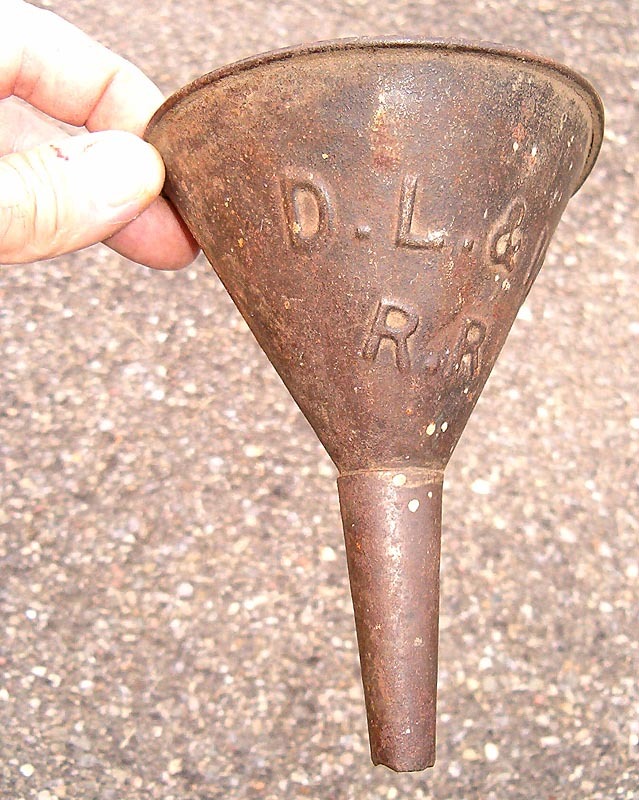 A funnel from the Delaware, Lackawanna, & Western. Photo by Tom Stranko.